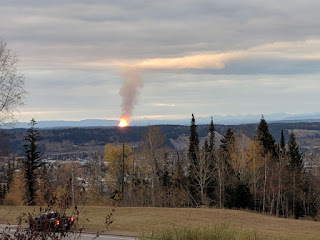 Just received an email from the local natural gas and electricity company, saying that a gas pipeline in British Columbia ruptured this morning and asking that we refrain as much as possible from using household appliances this morning. "The word "Lheidli" means "where the two rivers flow together" and "T'enneh" means "the People." Our elders, teachers, drummers, and other artists pass on our traditions and teaching to the next generation, keeping our culture strong. Our connection with the land is maintained with our successful Fisheries and Forestry programs." sorry to hear about the pipeline rupture. hope the damage can be contained soon.